If you’re looking for the best bang-for-your-buck marketing strategy – social media marketing is probably the right move for your business. Social media has over 2 billion active users, it’s arguably the most affordable means of advertising, it’s got more demographic data than any other form of advertising, and offers you a ton of analytics so that you can constantly improve your paid campaigns and organic efforts. Let’s take a look at 18 ways that social media marketing can benefit your business. 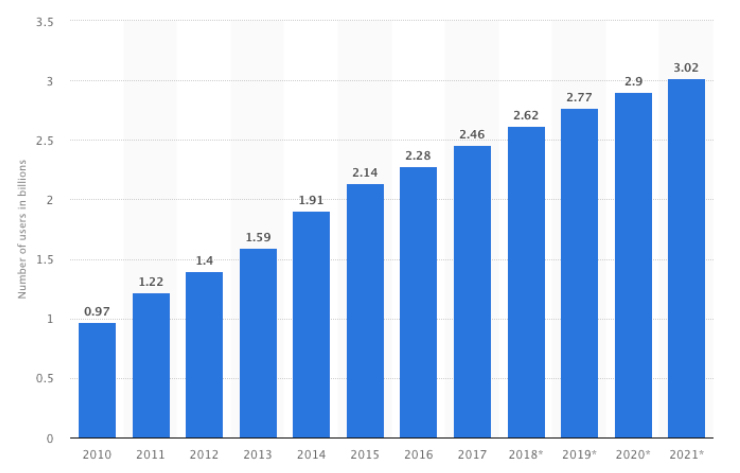 With over a quarter of the world’s population active on social media platforms (a number expected to keep climbing) there’s no better place in the world for brand exposure. 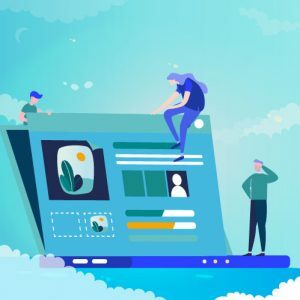 Whether you’re a new company or one that’s been around for a while, building a presence on social media is a great way to attract new customers and familiarize an audience with your brand. Tip: It’s great to be active on all channels, BUT, it’s often more profitable to be active on channels that provide you the most return. For example, if you’re a tech company that sells tech to other businesses, LinkedIn might work much better for you than Instagram. If you’re a new company, social media can help power your early stage growth. Use Relevant Platforms: Build a solid follower base on the platforms that provide you the most return on investment (ROI). Meaning, don’t waste time on LinkedIn if you’re selling to millennial consumers who are most active on Snapchat. Use Hashtags: Use Hashtags to give each post a boost to new eyes that it wouldn’t otherwise have. 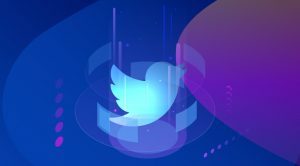 Use RiteTag to help find hashtags that will work best and expose your posts to the most viewers. Stay consistent: Even when you only have a few followers. If you post quality stuff on a consistent basis, you’re going to grow your follower base. Stay patient in the process and don’t give up! One of the best things about social media is how affordable the ads are. Plus, they have huge returns. There are ways of almost guaranteeing you’ll see 2:1 (or better) returns. Social platforms have optimization built into them. For example: if you run a Facebook ad, Facebook will automatically post the ad where it has the most success (like Instagram or Facebook). They’ll also expose the ad to an audience that’s more likely to convert. And you don’t have to do a thing, all of that is automatically done by the platform! Superfans are people that can’t get enough of your product or service. They’re repeat business – and a mere 5% increase in repeat business can amount to a whopping 95% increase in profit. Celebrate your repeat customers and fans – if someone gives your brand a shoutout on social – repost it, thank them publicly, celebrate them! Give free gifts. For example – Citizen bikes gives a free pair of branded socks to everyone that buys a bike. You could something similar, and share a photo on social media channels about your freebie. Hold contests and encourage participation. Contests are a way for your followers and fans to engage with you – with the addition of a prize. There are ample ways to use social media and an automation tool called IFTTT (if this then that) to grow your business – and the best part is – it’s free. With IFTTT, you create automations (a.k.a. recipes) that complete tedious tasks for you. Facebook – With Facebook, you can automatically send a post to your Facebook from a text message. Twitter – You can build Twitter lists with IFTTT. 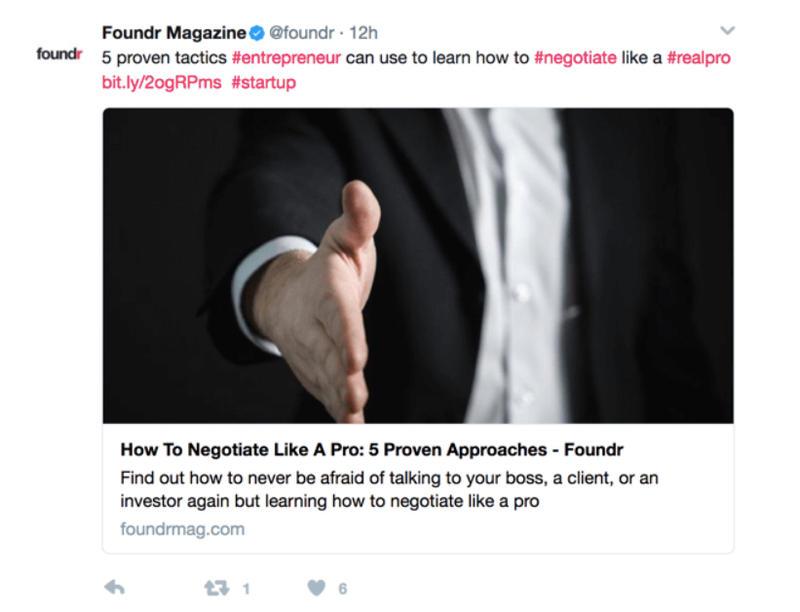 This means that everytime a user Tweets a certain hashtag, for example #startups – you could save that user name to a list – essentially building out a list of prospects. LinkedIn – You can automatically share your Medium posts with your LinkedIn network. Instagram – You can use IFTTT to sync your Instagram posts with a Pinterest board. There’s no better way to become familiar with your target market than through social media advertising. There are THOUSANDS of ways to target users on social media channels. Here’s an in-depth guide to building a highly-targeted social media audience. Automation is a giant benefit of social media. With the help of free tools like Buffer or MeetEdgar, and our own tool ‘Tailor Social’ you can spend 20 minutes scheduling a week’s worth of posts ahead of time. Automation tools also provide analytics insights to help you determine which type of posts perform best on the different social channels. With platforms like ‘Tailor Social’ you can also automate content discovery, saving you lots of time when it comes to finding content to publish. With social media, you can look at reports to improve your campaigns and posting based on data and insight. Private groups are groups on social media channels that you must be invited to join. They are a fantastic way to build a captured audience and engage with your customers one to one. Media: There are social media groups specifically for helping people find opportunities to be featured in the media. Do some research in your particular niche for these types of groups. Relevant Audience: You might join a group so that you can share your blog articles with, or join a vegan group to share your business’ vegan recipes, etc. Business Referrals: There are groups for all types of people and all types of industries. This is great for networking and generating referrals. Remember, the best way to get referrals is to give them! Building a following on social media is a great way to garner the attention of the media. To do this, you need to focus on creating content that gets lots of shares. Spend time creating the BEST possible content. If your blogs get the most reshares, then hire excellent writers to help you knock your posts out of the park. The better quality content, the higher the likelihood of reshares. Create a group (maybe an email chain or private social media group). This group’s purpose is to reshare all the content that is shared with the group. This can be your friends, colleagues, etc. Just as long as whenever something is sent to group members, all members reshare. Social media is a wonderful platform for increasing customer satisfaction. 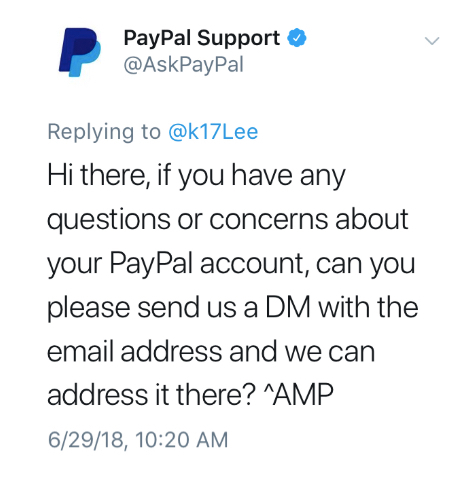 Big brands like PayPal are taking advantage of this as well. You can answer common questions publicly, or private message with customers that have issues or concerns. 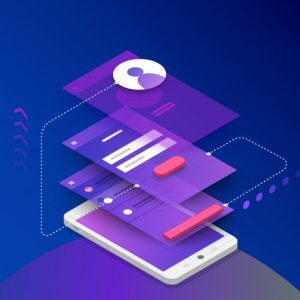 It’s a great way to make your brand more available to customers, and you should definitely take advantage of customer service via social media platforms. You can communicate with prospects via social. LinkedIn is perfect for searching for very specific prospects. You can search by location, company name, company size, job title, etc. This helps ensure you’re reaching out to a qualified prospect vs. any random person at the company you’re trying to work with. You can even send a InMail message to these prospects, which reportedly have a higher chance of being seen than a regular email. You can create ad campaigns targeting users who behave similarly to users that have engaged with your brand previously on social media. This target is created automatically for you by the social platform you’re using. You can also upload a list of emails and target users similar to those in the list of emails. Social can generate a ton of traffic for your domain. It’s also a great way for driving traffic to your new website or blog that would otherwise go unnoticed. Social media is important for building links to improve your search engine optimization (SEO) rankings. As you build your following, and the more shares your posts get, the higher the likelihood that those pages will be linked into other web pages and blogs. This is one of the best ways to increase domain authority and improve search rankings. By sharing your own written content (like blog posts and ebooks) on social media, you’re spreading the idea that you’re an authority in that space. You can also share other people’s content that is relevant to your audience. The content you share should always be high quality. It should educate your readers/teach them something new. It should use high-resolution images and graphs and charts when relevantUse free apps like Grammarly or Hemingway to edit your content so it’s more professional. Retargeting was a game-changer for social media advertising. By embedding snippets of code into your website, you can retarget visitors to your site when they login to their social media accounts. Consumers are crazy about brands that give back – especially millennials. Lots of companies set up campaigns on social media that encourage followers to donate to a cause. 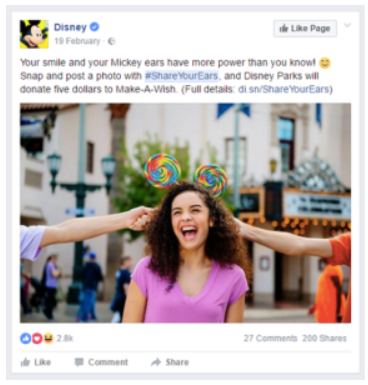 For example, Disney gave $5 to the Make A Wish Foundation, each time someone shared a picture of themselves wearing Mickey Mouse ears. This is a win-win, building brand awareness for your company, encouraging engagement, and giving back all at the same time. There are infinite ways to use social media to your benefit your business – we’d have to write a book series to cover them all. You want to focus on delivering quality content on all your channels, whether you’re sharing news articles, tips, or high-res photos. Take advantage of the affordability of social advertising – there are thousands of ways to zero-in on your target market. 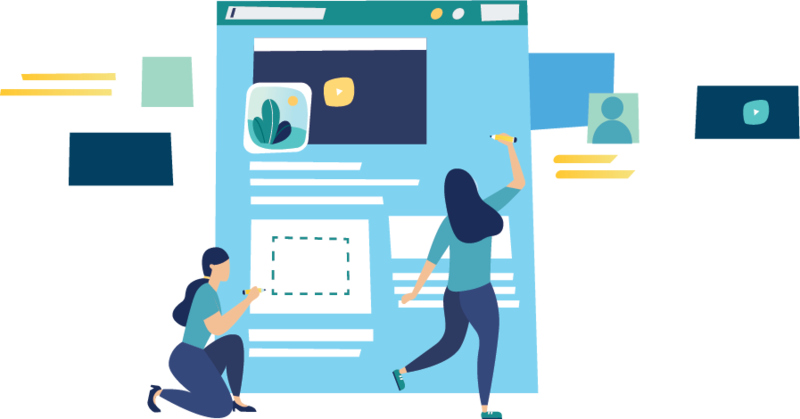 Plus, you can use embedded code snippets to retarget users who have already visited your webpages, and are therefore highly-qualified prospects. Now it’s your turn to harness the power of social media marketing.